ZIMBABWE'S hospitals lack basic equipment such as thermometers and painkillers while the working conditions for nurses are deteriorating, Parliament heard on Friday. The rot in the health sector was exposed during a 2018 pre-budget public hearing by the Ruth Labode-led Parliamentary Portfolio Committee on Health with representatives from the Zimbabwe Nurses' Association (Zina) saying things were not well at public hospitals, especially Harare Central Hospital. Evermay Chikoka, a Zina representative, said the nurse to patient ratio was too high, with patients experiencing shortages of essential drugs such as paracetamol. Harare Central Hospital was running for up to two weeks without running water at a time when the cholera epidemic killed 54 people. "Imagine a big hospital like Harare Central Hospital going for two weeks without running water when there is cholera," Chikoka said. "The infrastructure and buildings are archaic, and can you imagine that nurses share toilets with patients and we do not even have changing rooms? we end up using patients' toilets which is not good for health. "The maternity wards run with only two sets of anaesthetic equipment and yet we have caesarean births, and one finds that even small equipment for BP or thermometers is inadequate." 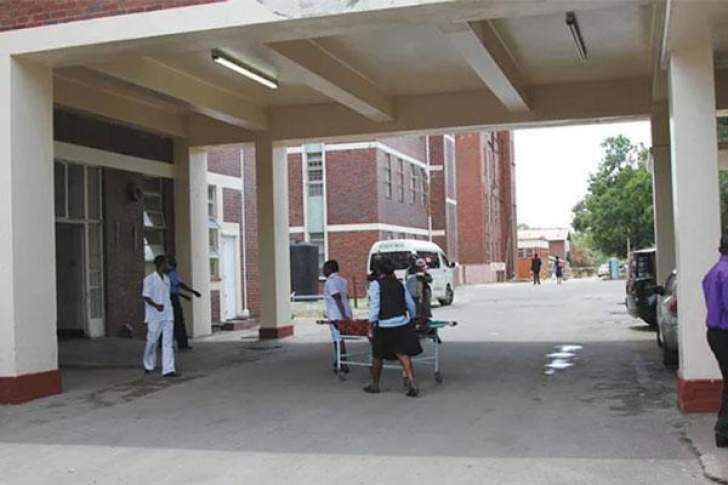 Zina Harare provincial chairperson Lucas Sharara said the equipment at Harare Central Hospital's theatres was obsolete, producing unreliable X-rays. He said in some wards the ratio of nurse to patient was as high as 1:30, adding government should undo the freeze on the employment of nurses to ease the burden. "Even doctors refuse X-rays taken from Harare Central Hospital because they give false pictures," he said. Sharara said the free maternity user fee policy had now crowded public maternity hospitals resulting in shortages of gloves, cotton wool and simple materials needed for birthing mothers because government had no capacity to pay for the subsidies. Chamunorwa Mashoko of the Advocacy Care Team said medicines used by key populations of people living with HIV and tuberculosis were funded 65% by donors and the private sector, leaving government to contribute only 20, 82% funding. The government also contributes only 14% of the recurrent expenditure for antiretrovirals. Nyasha Mutadza, of Citizens Health Watch, said the budget should ensure sanitary wear is made free for girls as the current economic quagmire and foreign currency shortages, as well as empty shelves in shops would mean that women's menstrual hygiene would be severely affected. Association of Health Care Funders Zimbabwe CEO Shylet Sanyanga said government should focus on wellness and prevention, restocking Natpharm, renovating and re-equipping health institutions so that they could treat people locally. Vulindlela Ndlovu, the CEO of Cimas, said the country's exports were $5 billion and the bulk of foreign currency from those was spent on fuel, and yet medicines required $300 million. "Currently we have a backlog of $40 million for medicines because pharmaceutical companies owe $30 million," he said. "We suggest that $400 million from the proceeds of the $5 billion exports should go towards health." Tapiwanashe Kujinga, director of the Pan African Treatment Access Movement, said there was need for the 2019 budget to prioritise recruitment of health workers.